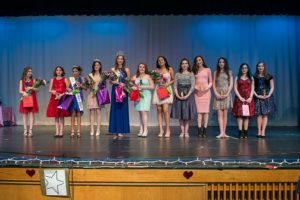 Shrewsbury – The Shrewsbury Sweethearts Town Pageant is about building confidence and leadership skills among its participants. Now in its second year, the pageant is open to girls from Shrewsbury who are in grades five through 12 and Shrewsbury Girl Scouts who live in other towns. 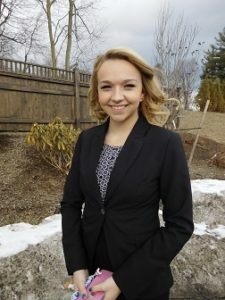 Its director and founder, Elliana Davis, came up with the idea for the pageant while she was a student at Assabet Valley Regional Technical High School as a project for her Girl Scout Gold Award project titled “Operation Spreading Confidence.” She is now a freshman at Framingham State University. This year’s event will take place Saturday, March 10, at 7 p.m. at St. John’s High School in Shrewsbury. Elliana became involved with pageants during her freshman year of high school as a way to build her own confidence and make friends. She began competing with National American Miss pageants and was named Miss Worcester in 2017. She is also the reigning Miss New England’s Silver Queen in Couto Pageants. She has taken the same principles of building confidence, a sense of community and commitment to excellence from the pageants she has participated in and applied them to this contest. One challenge she has come up against, however, while planning the pageants is the negative connotations associated with the word pageant – specifically, negative body image and self-esteem. “Stereotypes are hard to break and are a big deal for some to overcome,” noted Elliana’s mother, Meika Davis. She recalled a particular contestant from last year’s pageant who was new to the area and, as a result of her participation in the pageant, had the confidence to try out for the cheerleading squad and class president. There were 12 girls who participated in the event last year. They are hoping to build upon that so it can become an annual event. 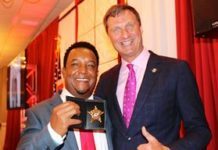 New this year is the awarding of the Blue and Gold Sweetheart Awards, honoring the spirit of Juliet Gordon Low (founder of Girl Scouts USA) for two contestants who are Girl Scouts. The event is supported by Shrewsbury Girls Scouts and the Girl Scouts of Central and Western Massachusetts. Sponsors are welcome and interested businesses or community groups can purchase an advertisement in the pageant program booklet at the Bronze, Silver, Gold or Platinum levels starting at $50. For further information, contact [email protected] or 508-901-7620.